Even God doesn’t propose to judge a man til his last days, why should you and I? God is good, even if we are in the wrong He urges towards the right path. Nobody can say that they are free of sin, even while being a born again spirit filled Christian. The reason being that we still live and have to deal with a fallen human nature, which is contrary to God’s holy spirit. Although God is holy, God is not evil but just. This does not mean God is fair, because He is not equal in his treatment and dealings with us, but he is just. For example, ‘a judge’s sentence may be just, because it is based on a law that is the same for all, and yet not seem fair because it fails to take circumstances into account’. This is the difference in God’s nature. God does work all things to our favor, but God doesn’t always give us what we deserve or think to deserve. See, God is not a God of works: He punishes sin, saves by Grace and blesses by Mercy. Many people will argue with me and say that God blesses obedience, and He definitely does, but obedience does not guarantee prayers and petitions will be answered. God has mercy on whomever He pleases, and definitely is a rewarder of those who seek Him. But to say God will not bless us for disobedience, is not entirely true because God’s goodness is what leads us to repentance. 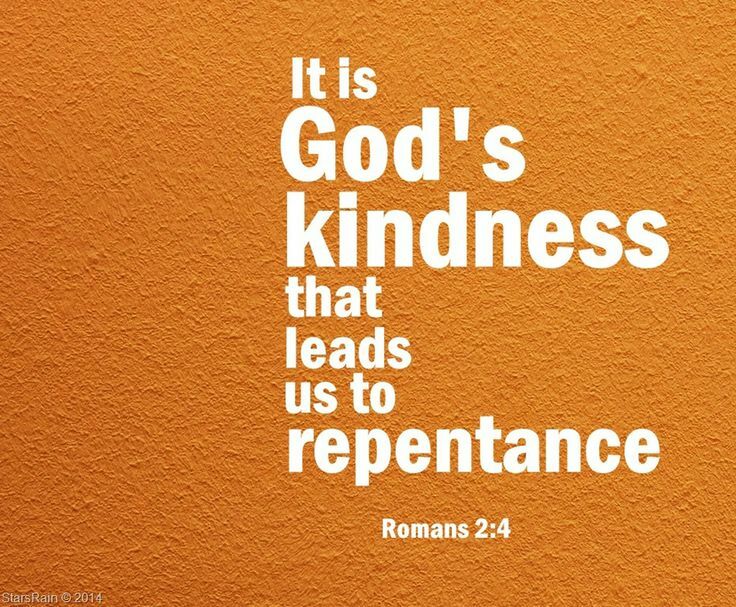 Why would we need to repent? Because we are in disobedience. God is not fair, but God is Just. Lord Jesus, I thank you for your sovereign hand and the way you love us so uniquely and individually. I pray for each person who may come across this devotional, and I pray for your love, mercy and abundant favor to grace their life. May we know you as the good God that you are, the healer of our souls and the provider of our needs. May we depend on you, and not our works and may your goodness draw us to repentance: In Jesus name, Amen.